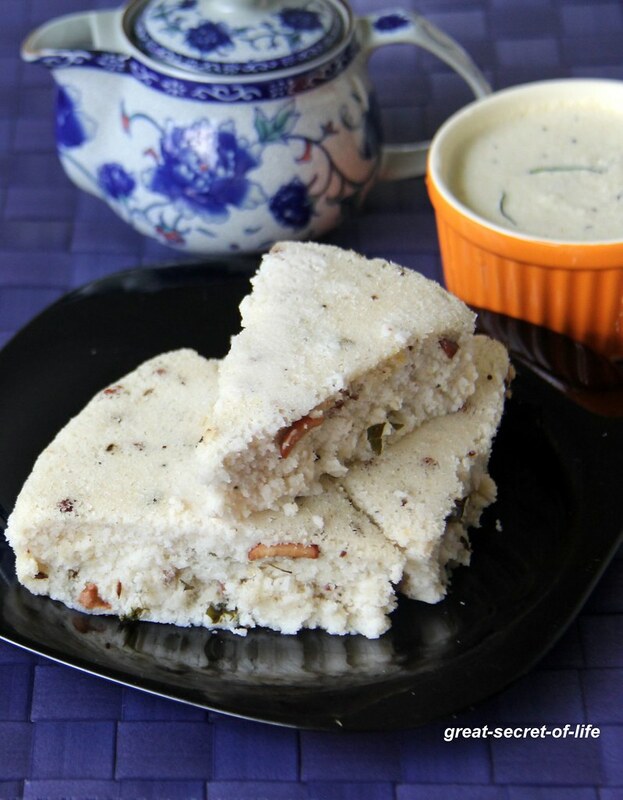 Like Pattu saree, Kanchipuram is famous for idli too. I love the seasoning. 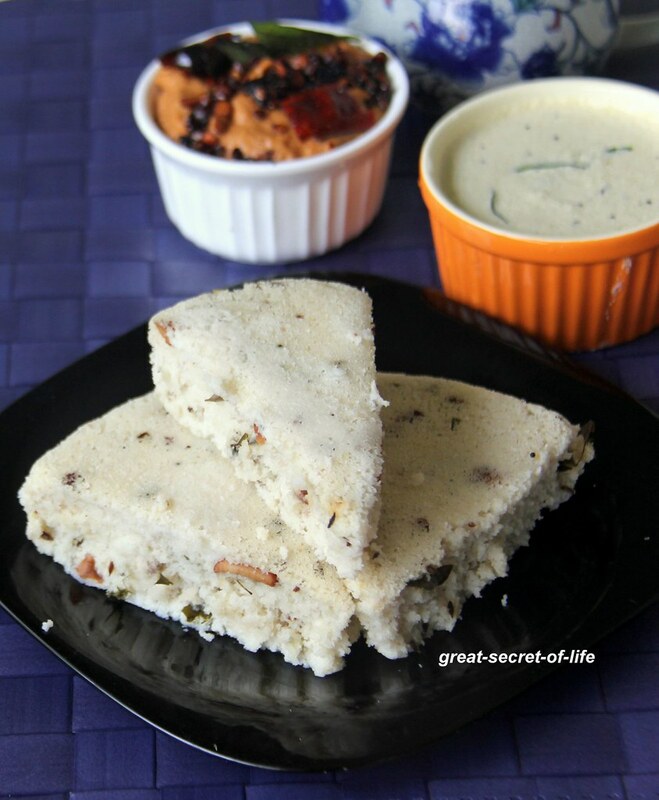 During college days one of my friend used to pack Kanchipuram idli for lunch. We ended up finishing her tiffin box. I tried this sometime ago and my kids and hubby didn't like it. So I stopped doing it at home. Whenever we visit saravana bhavan I end up ordering Kanchipuram idli. I wanted to do again for the blog. 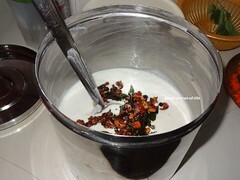 Finally I managed to make it and served it with eggplant chutney and coconut chutney. My kids loved it. 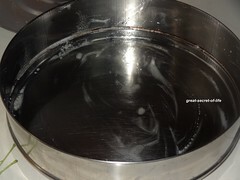 Heat oil and Ghee in a pan. Add mustard seeds. Let it pop. 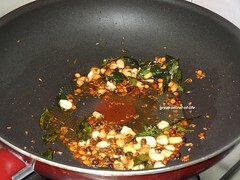 Add rest of the ingredients under seasoning section except Coriander leaves. 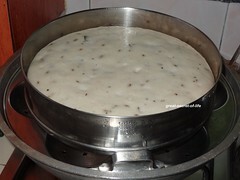 Fry till dhals are brown in color. 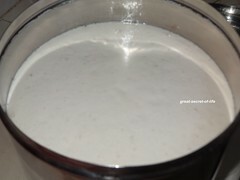 Pour this on to idli batter. Mix well. 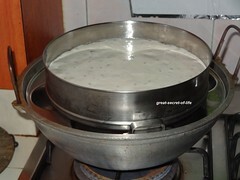 Grease the idli mould and pour the batter till 3/4 of the mould. 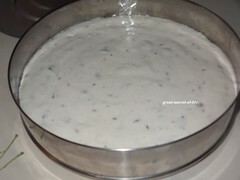 Steam it till it is completely cooked mine too about 20 mins in medium low flame. To check insert tooth pick it should come out clean. Switch it off and set aside for a min or 2 and invert the mould. looks delicious, always wanted to try this one. 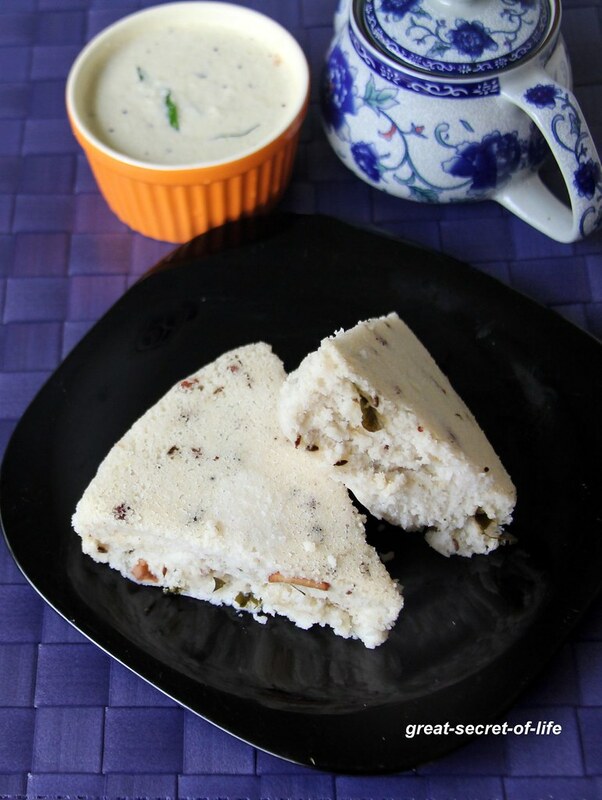 I have no tasted this idli but have this recipe years back shown in tv and wanted to make them. Your version turned out very neat and flaw less. You made them perfectly, looks very nice..
Looks super soft!! Perfectly made!! perfectly made and presented this is recipe is def a keeper!